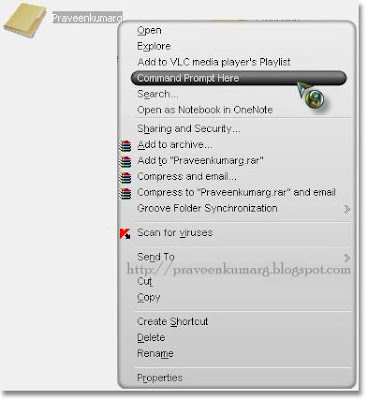 Adding command prompt to windows explorer right click menu is a simple hack that you can do it.Few months back i have discussed on how to Customize Your ‘Send To’ Right-Click Windows Menu.In this article i will show two simple methods to add CMD in right-click menu. 2. Copy(Ctrl+C) & Paste(Ctrl+V) in notepad. 4. Double click on that file, and the text will be entered into the registry. 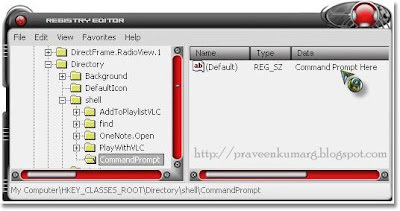 Thats it you can get command prompt in right click. 6. Now Right click on the new Command key and select New key. 8. Now right click on any folder you can find Command prompt.